This weekend I had the opportunity to attend Mixed, my very first food bloggers conference and it was fabulous! Susan from Doughmesstic and Paula from bell'alimento were our lovely hosts. 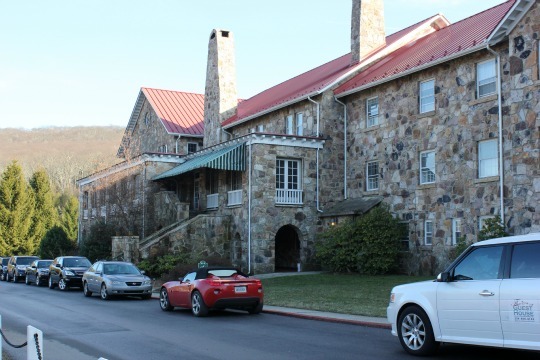 The conference was held at the Mountain Lake Hotel in Pembroke, Virginia. The hotel was the location for the movie classic "Dirty Dancing", starring Patrick Swayze and Jennifer Grey. I have been a big fan of the movie ever since I first saw it in 1987, so I was so excited to be there! Mixed had ﻿so many generous corporate sponsors. KitchenAid, Dreamfields Pasta, OXO and Dixie Crystals were just a few of the amazing companies that that were represented. 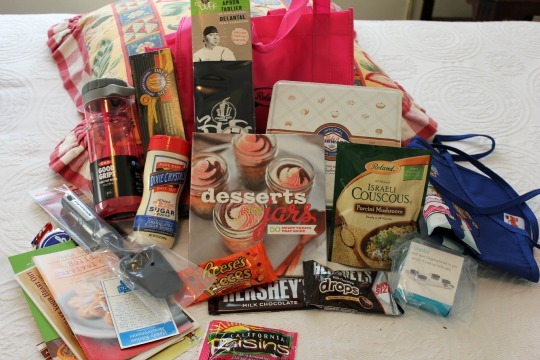 I received a swag bag with all of these goodies when I first arrived and that was just the beginning! The first night we attended a mixer with lots of cookie tasting. My new friend Janet from The Army Mom made these adorable penguins. 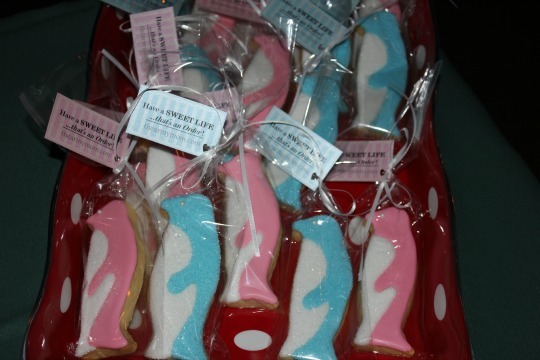 ﻿Karyn from Pint Sized Baker made these beauties. I love the detail! On Saturday we had a full day of sessions on photography, food styling, cookie and cake decorating﻿ just to name a few. 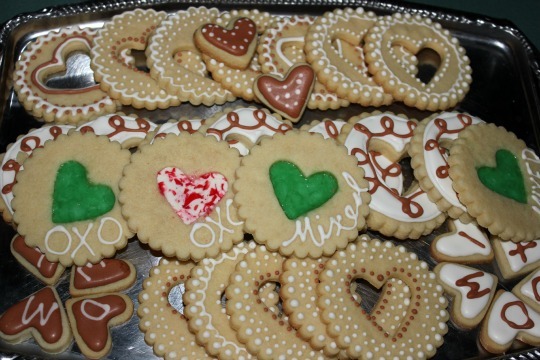 Marian from Sweetopia taught us now to decorate sugar cookies with royal icing and buttercream. She is an AMAZING cookie decorator and is the sweetest person ever. I loved meeting her! 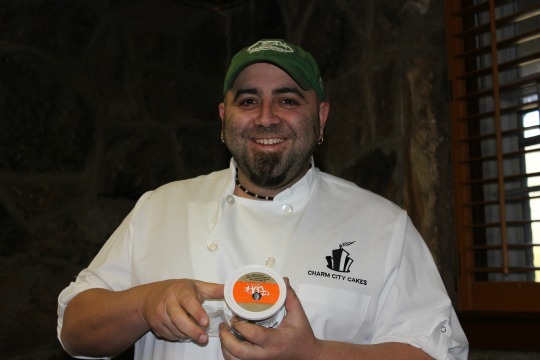 Next up was cake decorating with guess who?!? 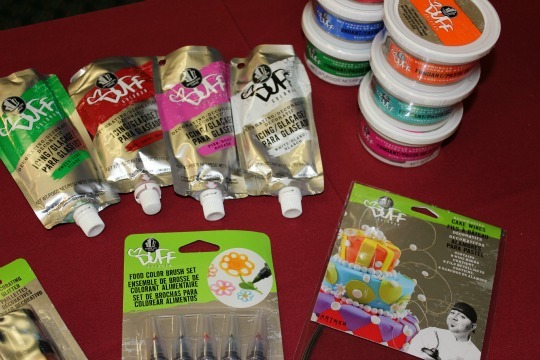 Duff provided us with a huge assortment of cake decorating supplies to play with. 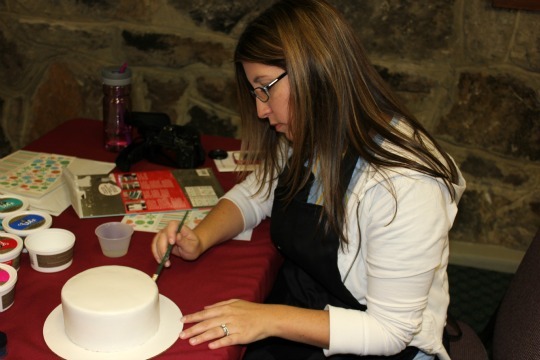 Katie of Katie's Cucina was my cake decorating partner. Here's our finished cake. Isn't it pretty! Duff was really helpful and so nice too. I really hit it off with Melanie from Melanie In The Middle and A Beautiful Bite. Melanie has two blogs, four kids and is so fun to hang out with! I learned so much and met several amazing new friends at Mixed. It was a great experience and one that I will never forget! 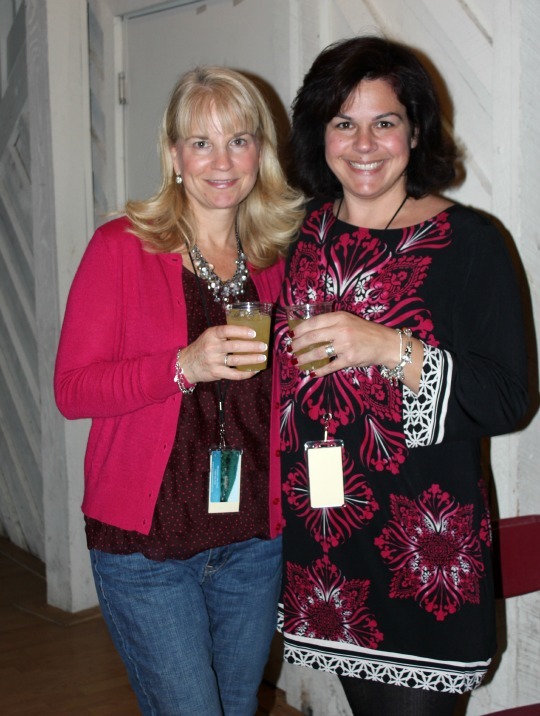 Thank you Paula and Susan for hosting such a great event. WOW! You are fast, lady! I'm so overwhelmed by the past 48 hours and completely blown away by the entire event. I was so happy to have attended and to have met you! 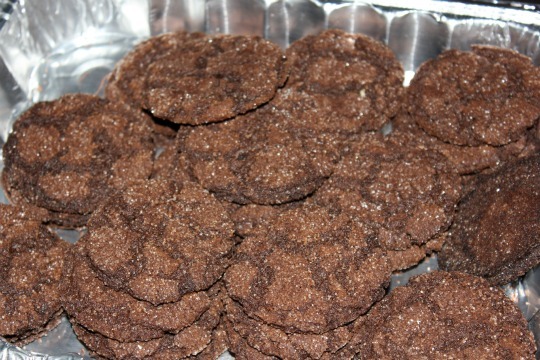 Thanks so much for sharing my cookies with your fans. I look forward to getting to know you more and catching up at the NEXT MixedCon! YAY! Love the recap! It was so good to meet you! It's Melanie wonderful! I love her! Awe great recap! You were quick to get it up! You go girl! 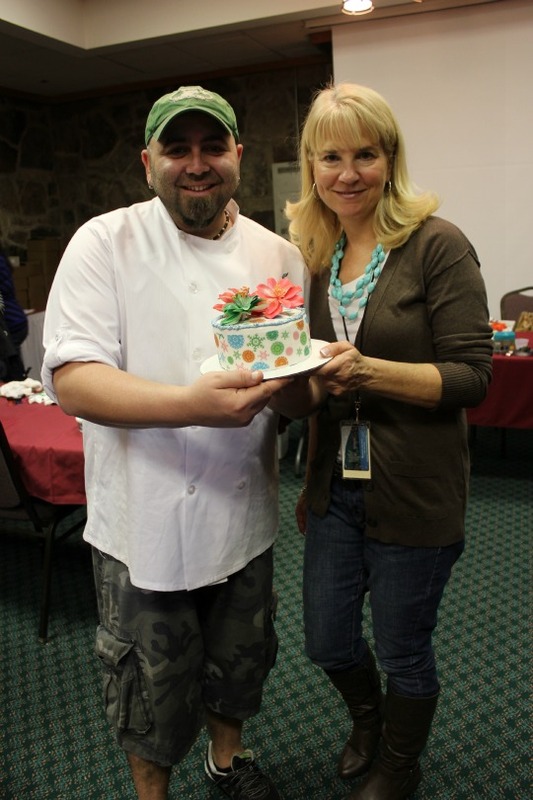 Loved meeting you and being cake decorating partners!!! Oh, it's you with the beautiful haircut! So nice to put the blog with the cut, as it were! I'm sorry we didn't get more time to chat at Mixed, but what a great time!